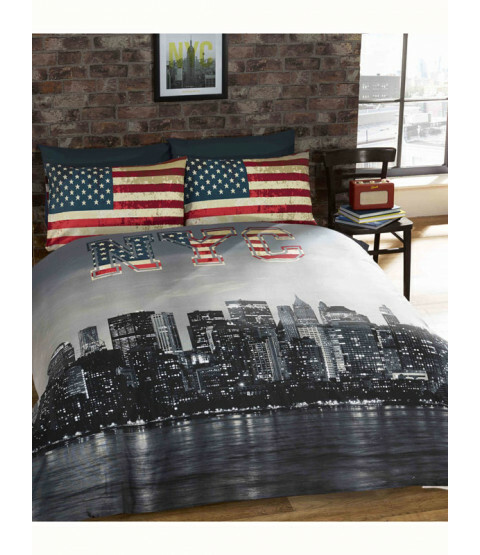 This eye catching photographic print New York Skyline single duvet cover set will add a stylish, modern touch to any bedroom. 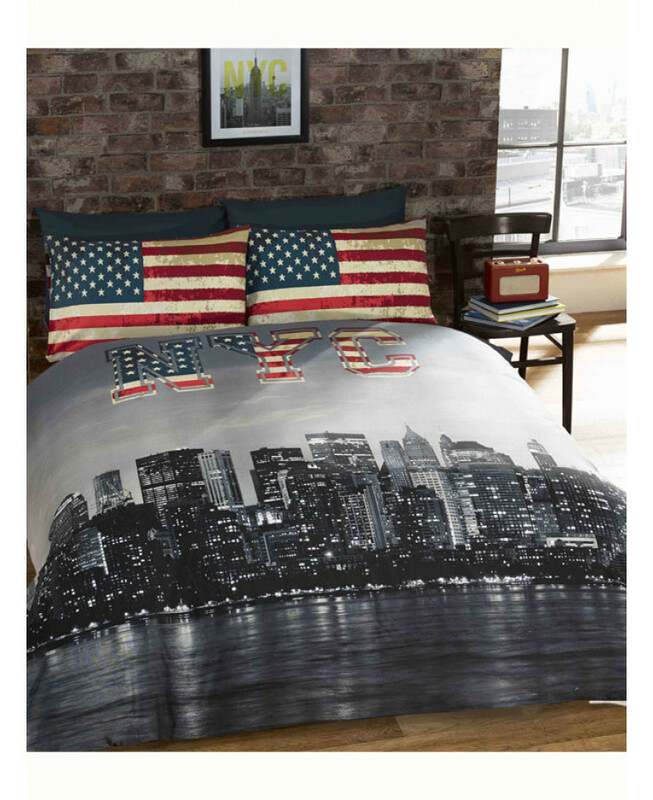 Created using the very latest in print technology, the design features a stunning monochrome image of the New York City skyline at night that has been carefully printed onto easycare fabric. 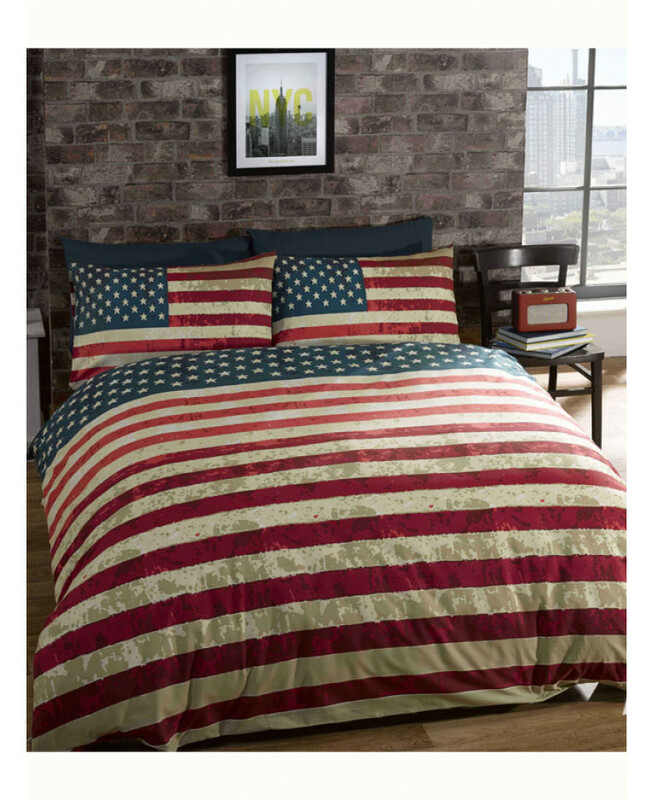 The letters NYC appear at the top of the duvet in the American flag design, which is then echoed in the pillowcase and on the reverse, giving you two designs to choose from. This bedding set is suitable for machine washing and tumble drying on a low setting.